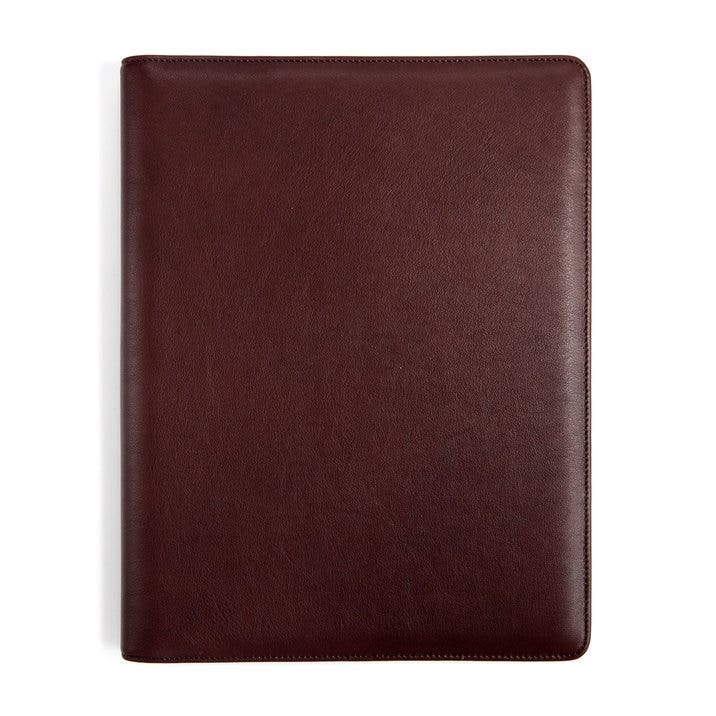 A classic pick for the fresh grad or veteran employee, this leather Standard Padfolio will keep all your meeting notes organized and in place. Made with full grain leather, this design is available for deboss and hand painted personalization. I have given this portfolio to my son as a graduation gift (Black) and brown for a birthday gift, both monogrammed. He loves using them. This is the third one also for my other son as a graduation gift, monogrammed. A very useful, well made gift at a reasonable price. Law School Grad loves it! Standard Portfolio was the perfect gift for our law school graduate! The padfolio arrived beautifully packaged and the contents did not disappoint. I've only used a few times but expect it will endure day-to-day use. And it looks gorgeous too. Bought one in charcoal for my husband as a gift and he was impressed as well. I am so happy with my portfolio. The quality of the leather is nice, and it looks so presentable at interviews. I'm happy I made the purchase! I ordered a monogrammed portfolio for my husbands 60th birthday. When I received it the monogram was spelled wrong. Got a hold of Ashley in customer service. Very apologetic for the error. She made good on the entire deal. Got my new one the very next day just in time for my husband's birthday. She was extremely helpful and called me to let me know it was on its way. Super Duper customer service. Oh and My husband loved it and said its was exactly what he wanted. Will be a returning customer. Thank You!! Great quality, exceeds my expectations! The leather in the standard padfolio looks and feels great. The stitching is clean, and it all looks very professional. Will definitely buy from them again! Leather portfolio arrived within days, beautifully engraved. It is a high quality item. Just what my daughter wanted. Soft, beautiful leather, enough pockets for what she needed. Delivery right on time. Packaged in beautiful gift box, and sent in protective outer box. Well done! The product was beautiful in person and felt like a quality finish. I gave it as a gift and the recipient loved it. The complimentary notepad inside is a nice touch. I am confident it will last for the remainder of my mother’s career (almost 10 years). Price was not bad, considering it is real leather, cheaper than some competitors, and it comes beautifully packaged. Already presentable as a gift. I added the embossed initials personalization for an additional $15 in gold. A great way to make the item more personal.